Nintendo has “kids and those who are kids at heart” hyped up with the announcement of a new “interactive experience” on Wednesday, January 17, and what the company planned isn’t what we expected. 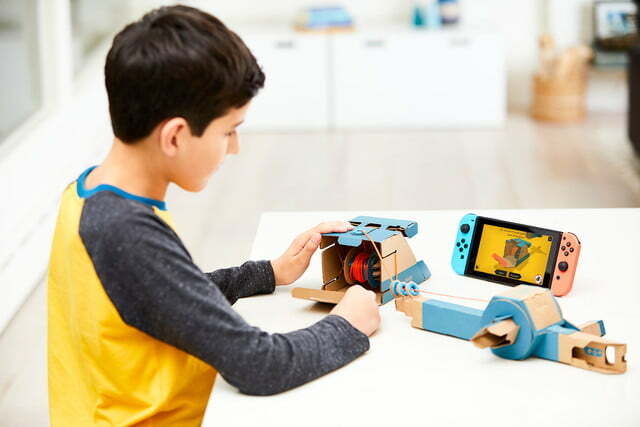 Nintendo Labo is a line of constructable cardboard sets designed for the Switch, and it just might be Nintendo’s next big hit. 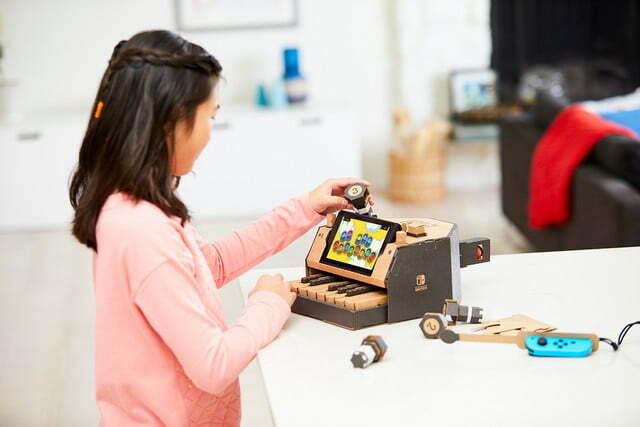 Launching on April 20 with the $70 “Variety Kit” and the $80 “Robot Kit,” Nintendo Labo comes with both a piece of Nintendo Switch software as well as a sheet containing cardboard pieces to make your own accessories for the console. The Variety Kit comes with pieces to make a house for your system to sit in, a motorbike, a piano, a fishing rod, and even two RC cars. In addition to cardboard pieces, it contains “eyelets,” rubber bands, string, and sponges. As crazy as it seems, these creations actually function — the RC cars move and the piano plays. With the house creation, you can even affect what’s going on inside, represented on the Switch screen, itself. The Robot Kit is a little bit different. With this set, you actually wear a cardboard suit containing Joy-Con controllers in the headset and backpack. Along with strings going to your hands and your feet, the kit turns you into a walking death machine, and the included game lets you run around a city and destroy enormous buildings before turning into a fast-moving vehicle — Nintendo hasn’t toyed with virtual reality since the days of the Virtual Boy, but this might be the next best thing. 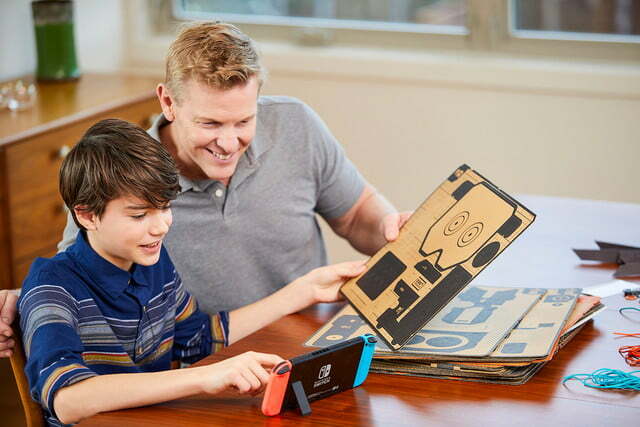 For those looking to add even more detail to their Nintendo Labo kids, a special “customization set” will also be available on April 20 for $10. It contains stencil sheets with extra letters, numbers, and symbols, as well as a sticker sheet containing additional eyes, and objects. The set also comes with tape for adding a little finishing touch to your creations. 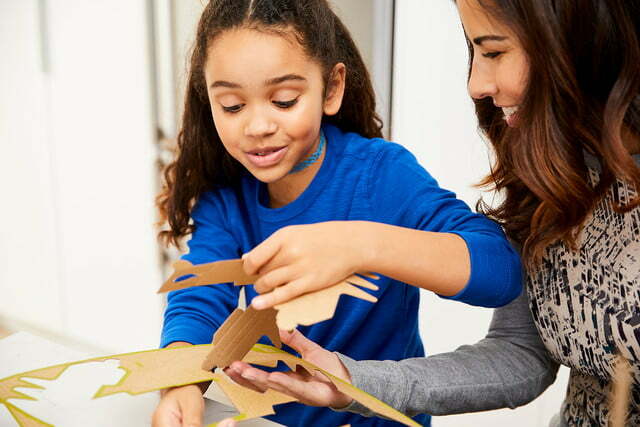 Though Nintendo Labo doesn’t release until April 20, if you’re a parent with kids between the ages of six and 12 and live near either San Francisco or New York City, you can enter for a chance to attend a special hands-on event. The New York City event will take place on February 2 and 3, while the San Francisco event will take place on March 2, 3, and 4. Both require you to submit your application by Sunday, January 21.